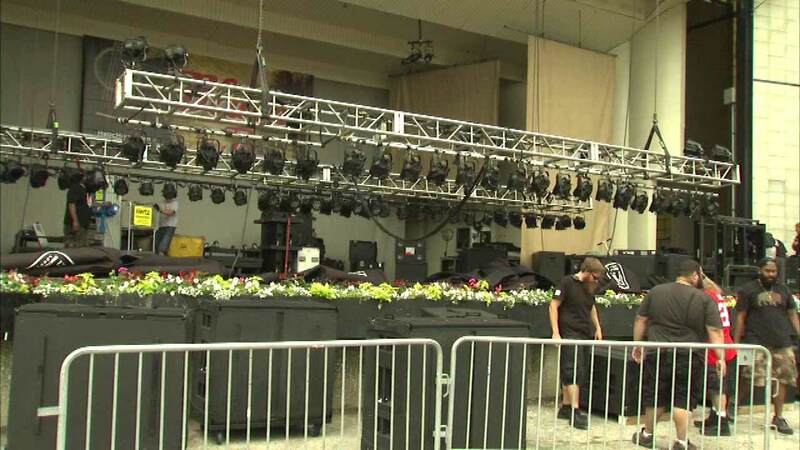 CHICAGO (WLS) -- Grant Park is gearing up for the 32nd annual Chicago Blues Festival this weekend. Set-up is almost complete at Jackson Boulevard and Columbus Drive. Buddy Guy is the headliner on Saturday night. Other performances include Sly Johnson, Clarence Carter plus tributes to Muddy Waters and Willie Dixon. Blues Fest starts Friday at 11 a.m. For more information, visit the City of Chicago's website.